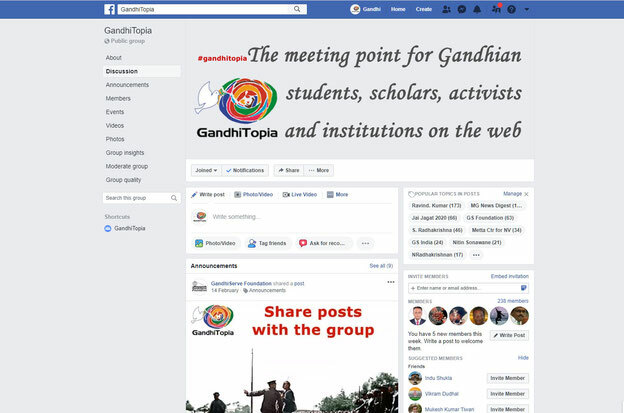 GandhiTopia is the meeting point for Gandhian students, scholars, activists and institutions on the web! This platform provides news, views, media, events and research on Mahatma Gandhi, Peace and Nonviolence. It is YOUR forum. Here YOU can share information, questions and material, and connect with the Gandhian web community. No matter whether you're an activist, student, academic or media person, on GandhiTopia you find what you're looking for.